Since several weeks ago, we are having demonstrations at the area near our office almost everyday. The reason is that the new president,Myung-Bak Lee (former major of Seoul and also known as “the bulldozer” because of his aggressive political decisions, has signed an agreement in the context of the free trade agreement that South Korea wants to establish with the United States by which imports of American beef (blocked since 2003 under fears of mad cow disease) without limitation in terms of age to South Korea. 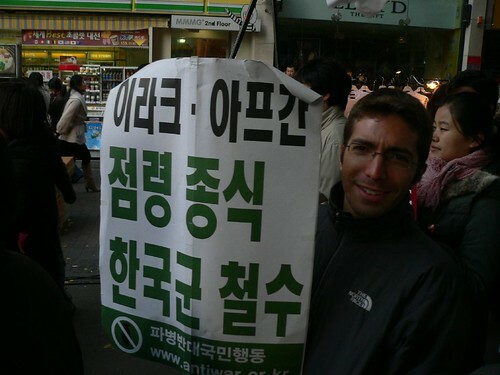 South Koreans didn’t like this at all, and they have interpreted it as a betrayal from the new president (who won the elections by a very high margin for what is common in South Korea). 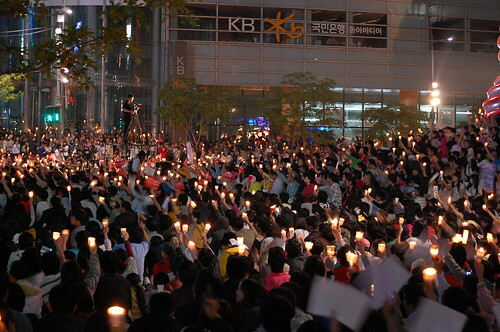 These demonstrations against imports of American beef have been called “Candlelights Cultural Festival” (literal translation of 촛불문화제, Chotbulmunhwaje)”, a very pretty name that stands out the philosophy of the demonstrations: thousands of people sitting down holding candlelights in a peaceful way. The mainstream media and the government ignored them at first. But protesters stepped forward as “citizen reporters,” conducting interviews, taking photographs and, thanks to the country’s high-speed wireless Internet, uploading videos on their blogs and Internet forums. One video showing the police beating a female protester caused outrage on the Internet and prompted even more people to join the demonstrations. In fact, some of the demonstrations ended up in a quite violent way, like the one held on may 31st, in which policemen had to use violence to control some (probably many) protesters. One of the videos that the last article is talking about can be found here (among other things, you can see how a policeman steps on a young female student’s head, and another policeman leaves a man deaf after attacking him with a water cannon). A picture a took during one of the first demonstrations. 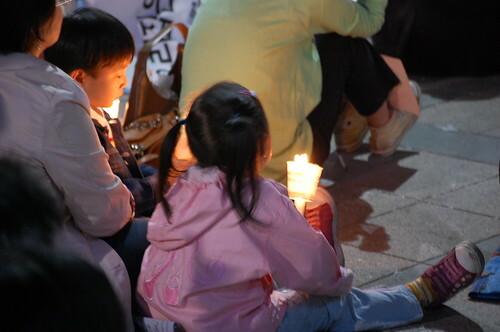 Many people also take their children to the demonstration. This picture was taken right in front of our office. Signs against the president. “2MB” is how they call the president (number 2 in Korean is pronounced like the president’s last name, which in Korean goes in front of the name, 2MB = Lee Myung Bak). 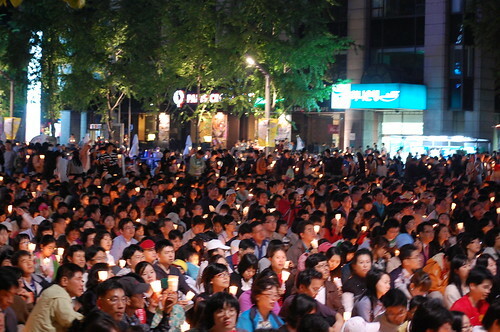 The biggest demonstration until now, held on June 10th, which also commemorated the 21st anniversary of the defeating of the military regime in South Korea soon after the Gwangju Massacre. The day after this demonstration, the Prime Minister and all his cabinet offered their resignations. More information: wikipedia, NYT article, more (and better) pictures. 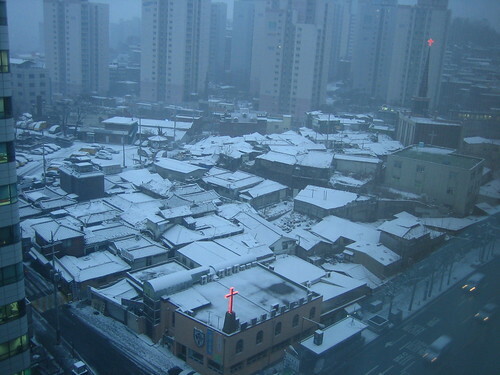 View from my room, at 8 in the morning. 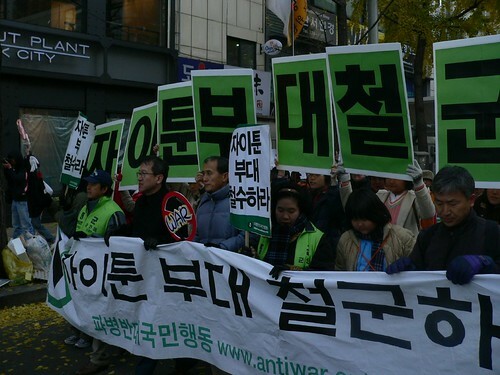 Last weekend we went to a demonstration asking for the withdrawal of South Korean troops from Irak. 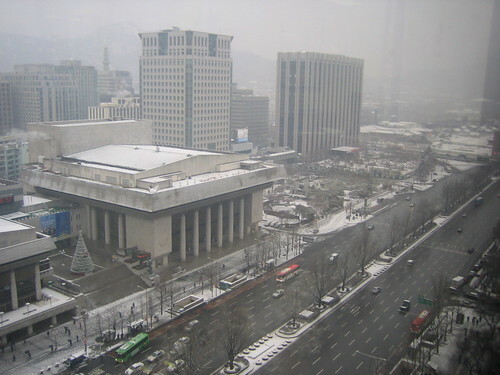 Seoul is known for its demonstrations, which usually take place in the area near Gwanghwamun and Myeong-dong subway stations, where many embassies and government buildings are located. This demonstration wasn’t violent at all. 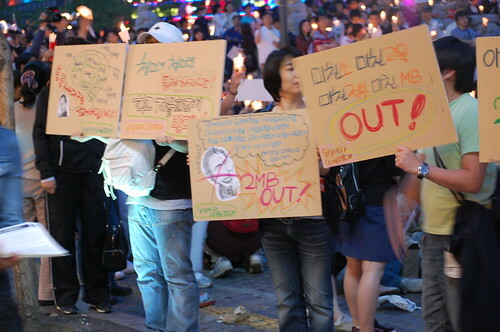 We met somewhere in Myeong-dong and walked to Gwanghwamun, where the demonstration finished. 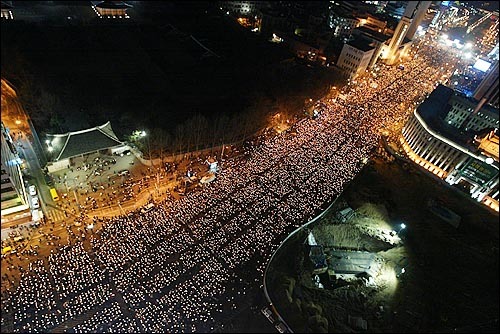 The truth is that we expected more people, there could be around 300 to 500 people. Carlos, Jairo and I were the only foreigners at the demonstration, so everybody seemed pretty surprised that we were there and everybody took so many pictures of us (I wonder if we were on the newspapers next day, but I couldn’t check). They even said some sentences in English so that we could understand something. Holding a banner. It says “Irak – Afgan. Stop dominating those countries. 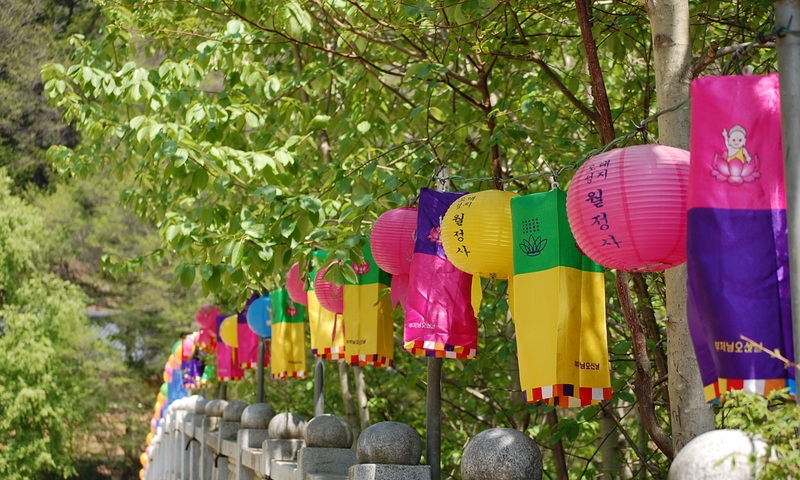 Return Korean Military”.